I make a living as a financial adviser. I think about money when the markets are open, and then I think about the fantasy world my characters inhabit. I try not to move into the fantasy world, but it’s hard, because it is so much more fun than the real world of money. 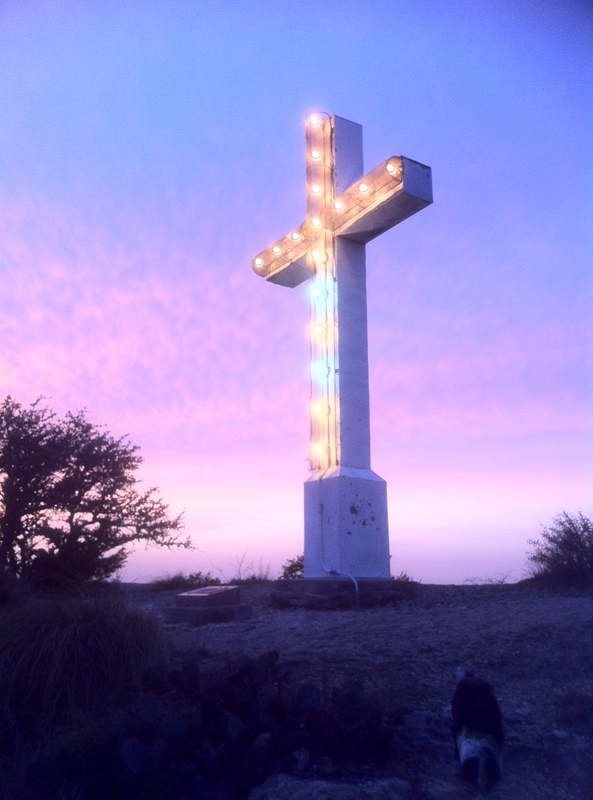 I live in Fredericksburg, Texas, and do a lot of walking, most recently at Cross Mountain Park at the north edge of town with my two border collies. Many of my stories have popped into my head while I was walking. 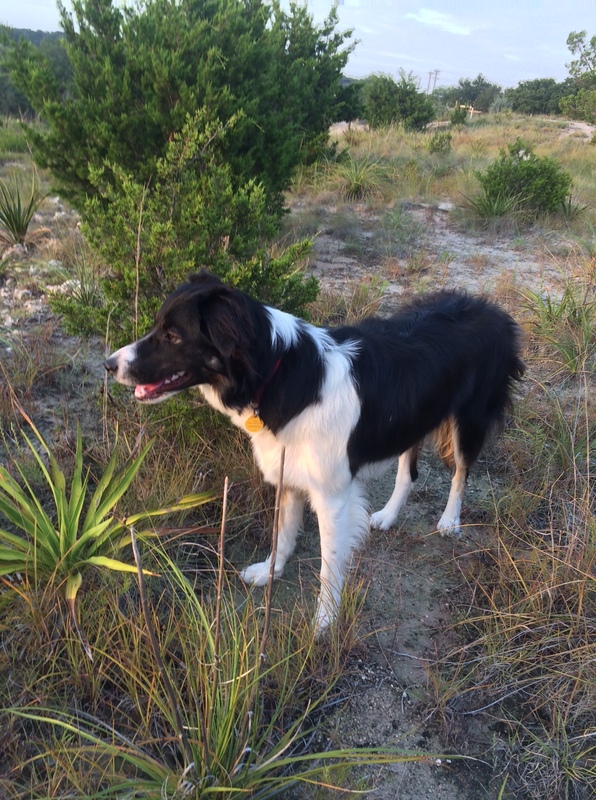 Until I got the border collie puppy, I walked at Enchanted Rock State Natural Area several times each week, which is where the Enchanted Rock Stories came from. Looking forward to Blue and not being at all jealous of you moving forward while I keep my stories in my head. O.K. maybe a little wistful about what I might have accomplished, but glad to read what you’ve created! Enjoyed the Red – Bring on the Blue. Hi Robert, thanks for following my blog–hope it makes you chuckle! I enjoy your posts, and all the best with your novels. Sounds like inspiring country to follow your muse. I do enjoy your craziness, although sometimes I have a hard time sorting out what is real from what is fantasy. I am a kayaker, too. Wow–we have a kayaking connection, how cool is that! As for sorting out truth from fantasy, I have the same problem! Have a great weekend! Wow, you’ve been around the block, Sir. An Air Force T-38 Instructor Pilot! A financial planner and a fiction author. I got nothing but respect. And thank you for protecting my family’s freedom. Good luck with your book sales. I’m sure you’ve read, “Making a Killing on Kindle,” by Alvear. The guy says we’re wasting our time with social media and should go dig into the “ecosystem” of Kindle where he says all the action is. I certainly wouldn’t know, but I thought it was an interesting read and an important one, if the message is true. Flying in the Air Force was easy compared to figuring out how to sell e books without a budget! I have some success selling hard copies at an art gallery, and glowing comments from some readers gives me hope of meaningful sales sometime. Glad you are not standing still. I’m writing some mem-wires entitle “Why fat people like to dance”:. I’m very familiar with the Fredicksburg area since I was raised at Harper. Some of my stories include the sherrif and the old Peter’s dance hall. I’m glad you are still with us, Kelton! Hi Robert, I’m just checking out your blog. Pretty cool! Hi Robert, I stumbled across your page as I was looking for a picture of the Eriswell School! I also attended the school with Mrs. Donnon as the Head Mistress. Your story of the school is much like mine, though I may have started there in 1958 when I was 6 years of age. I remember the biggest struggle for me after we moved back to the States and yet another Air Force base, was that I had learned to subtract the English way and could never quite understand how to do it like my peers. There were about 5 of us from Lakenheath AFB who would ride in a taxi to school and our driver would quiz us on our spelling. One of the others was Sydney Bashore whose dad was a doctor on Base. My childhood name was Libby. Does any of this ring a bell? God Bless! Well, Libby, that is interesting! I was in that school from 56-59 so we were classmates. My older sister Adele and I were the first American kids there as my parents weren’t too keen on the American school. Rev Donnan had been in the POW camp in Burma which built the “death railway ” and he and my dad were friends. My dad was an Air Force Chaplain and a Presbyterian minister. I remember starting each school day with an assembly and the Book of Common prayer. Hot lunches, the outhouse, learning to write with a quill pen. I skipped the second grade when we got back to the USA and graduated from college at age 20. I reverted to the printing I leaned at Eriswell from cursive by the 6th grade. I don’t remember much about classmates. What year were you born?